On Your Feet provide a variety of services to our clients. Our experienced team understands that every client is unique and has specific individual needs. See who our happy clients are below. TEDx FulbrightDublin curates a diverse mixture of speakers ranging across key areas. Vodafone is Ireland's leading mobile communications operator with 2.4 million customers. 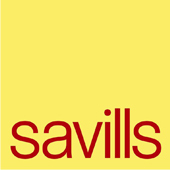 Savills Ireland is recognised as a leading Irish practice in the property market. Bord Gáis Energy supplies over 750,000 customers with energy in Ireland. Gartner, Inc. is the world's leading information technology research and advisory company. I.T. Alliance is a leading provider of IT managed services and business outsourcing solutions. Abbey Conference & Events are award winning Professional Conference & Event Organisers. Auxilion is a global award-winning cloud transformation and support company. Avnet is a leading global distributor​ of electronic components and IT solutions. The Barry Group is one of the leading wholesale groups in Ireland. Mindshare are media consumption experts and are at the forefront of the media industry in Ireland. COTY is a renowned company that comprises of global fragrance and body care brands. Fexco is a world leader in innovative finance and business solutions. McDowell Purcell is a progressive and innovative corporate law firm. MCI brings people together through inspiring meetings, events and congresses. New Frontiers is Enterprise Ireland’s national entrepreneur development programme. Travel Counsellors is a world leading travel company. The Gleneagle Hotel and Apartments is the perfect venue for family breaks and entertainment.